It has only been a few months since Blizzard released Diablo III: Reaper of Souls for the PC. Once again we find ourselves thrust back into the fight against the forces of hell with Diablo III: Reaper of Souls – Ultimate Evil Edition for the PS4 and the XBox One. This installment promises to be the most complete version of the game to date. It includes both the full Diablo III experience along with all the additions that the Reaper of Souls expansion carries with it in one handy package. The real question with this is, will this version of the game be the one to own? The answer to that is an emphatic yes! It’s no secret that I’ve always been a fan of the Diablo series, having played every installment since the first one came out for the PC back in the 90s. I’ve always loved the easy to understand gameplay with more loot than any one person could ever utilize. It’s also no secret that I was disappointed when Diablo III first launched. It held such promise. Yet with some rather odd design choices including, but not limited to, the infamous auction house, I couldn’t fully get behind it. 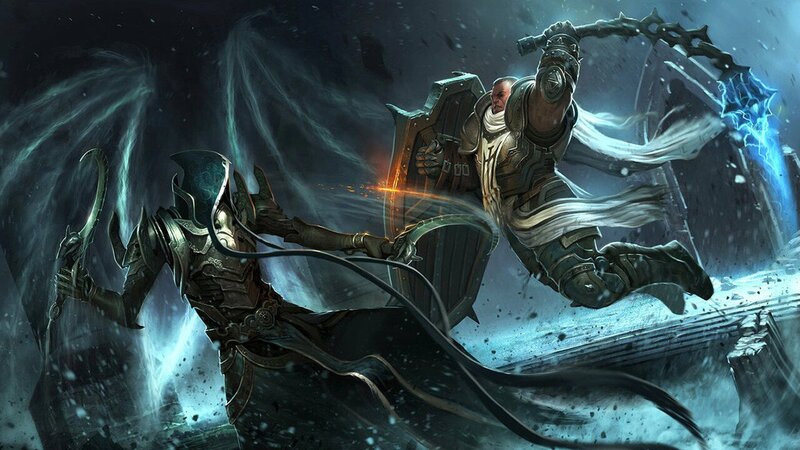 Since then, Blizzard has been working to repair Diablo III, crafting it into the game it should have been since launch. With this release, they’ve finally gotten it right. 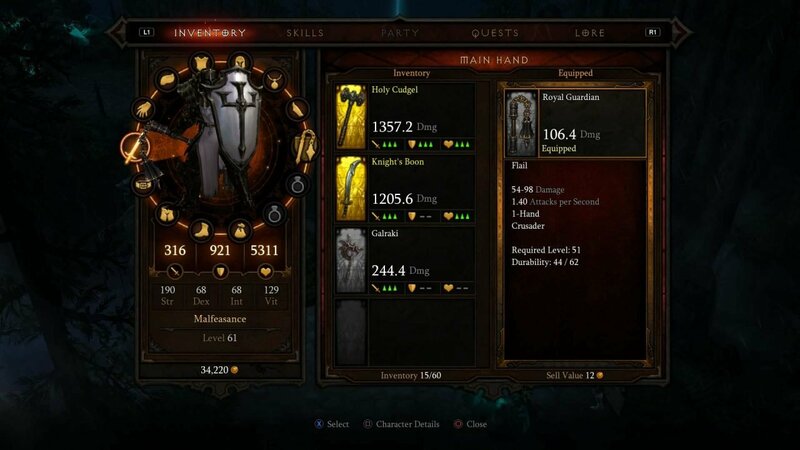 Diablo III: Reaper of Souls – Ultimate Evil Edition takes what was good in Diablo III, adds in the adjustments they made with Reaper of Souls and mixes all that with a much more fluid feel that makes everything a blast to play. This may be going against everything my PC gaming brethren would believe, but Diablo is best played on the console. The Dualshock 4 makes the task of demon slaying effortless. Each button is put to good use, turning what was a mouse driven experience into a fast paced action game without any of loss in translation. The game seems built for this style of control. With the optimizations that were made to the interface, sorting loot and abilities was easy. One thing I did notice as a glaring omission was the fact there was no PS4 exclusive content. Yes, everything works as you would expect, but it never once felt uniquely built for the platform. The PS4 has many unique features that would have fit the Diablo Experience well. The touchpad could have allowed for minor ability customization, the speaker could have been used for in game dialog or flavour text and even the light on the controller could have been used to indicate health. What we got instead was a well crafted generic console experience that is overall the same on the XBox One and the PS4. Now I’m not saying that this is bad, but I do feel like Blizzard missed an opportunity that would have made for some clever uses of the tech. So the question many of you may be asking is, do the PS4 and XBox One versions compare favourably to the PC version? The answer is a simple, yes! These versions have been optimized to utilize the power of these systems and it shows. 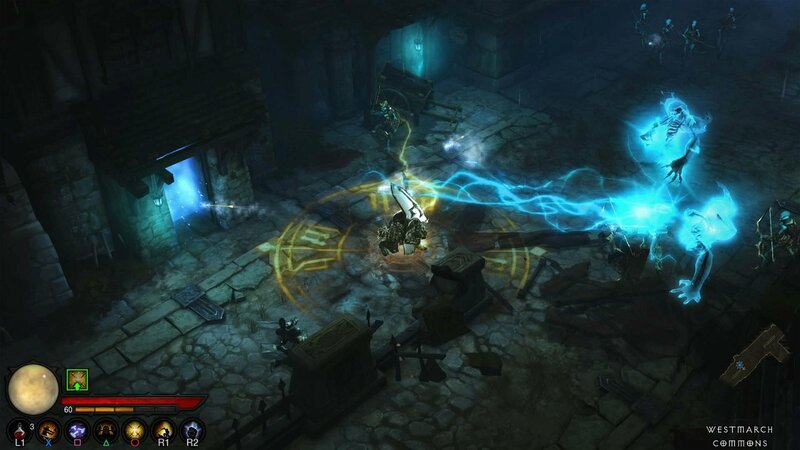 Diablo III on PS4 and XBox one runs well and looks fantastic. If you only had the chance to play the PS3 or XBox 360 version, you will be blown away by the smooth, clean visuals that look as good as most high end PCs. Blizzard has, with this move to the current generation of consoles, also managed to iron out many of the technical issues found on the PS3 and XBox 360 versions of the game. No longer will people playing couch co-op have to opt out of achievements for both players. With the new way people sign into the systems, both players can have the full feature set of the game. The characters you create, the loot and abilities you get and the trophies you unlock will all stick with the players profile; making couch co-op an even more exciting and fulfilling experience then it was previously. Beyond these improvements the core Reaper of Souls experience is still present. The new loot system that Blizzard coined “Loot 2.0”, is in full force here. Less often will you get items that are completely useless to your class. Throughout my play experience, it was rare to find anything interesting that was completely meant for another class. With this edition of the game they’ve also implemented a handy mail system that allows players to send loot that a friend may find useful to them even if you’re aren’t playing together. It’s a feature that has always been missing from the game and makes the full experience seem much more socially connected then it has in the past. The new class and stage, as I mentioned in my review of Reaper of Souls, fits the heart of the game well. It feels like the expansion packs from the 90s, taking the main game and building a full-fledged narrative story that expands the playtime for countless hours more. The new Crusader class is also a fun addition. It takes the tank-like abilities seen in the barbarian and combines it with support magic making it a much needed class that Diablo III was missing. It all works well in crafting an exciting and fun role to play. Top this all off with the adventure mode that allows players to revisit areas for quests, and you have a comprehensive package that will eat weeks of your life. Yet with all these features, if you already own the last generation version of the game it may be a hard sell. Yes, you can import your characters from that last gen console to the new hardware without any problems, but what you are buying is basically an HD remaster of Diablo III with the Reaper of Souls expansion added in. And is that really the best way to spend 65 bucks? 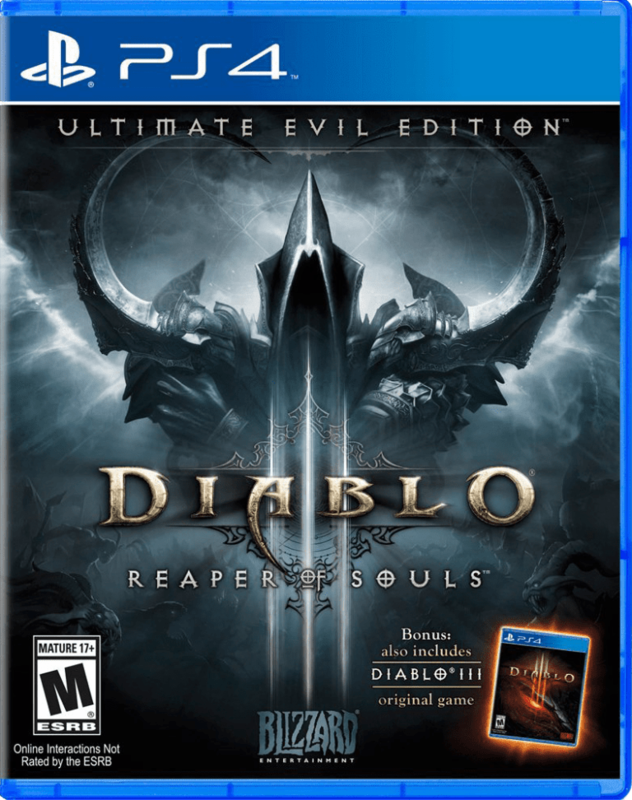 Diablo III: Reaper of Souls – Ultimate Evil Edition is a solid title, one that will provide hours of entertainment. For anyone who has not yet jumped into the experience, it’s a must play. The couch co-op is a fun way to play, and it’s an easy entry point for anyone new to the series. I would even recommend it to people who’ve tried it on the PC, as this experience feels new and fresh. If you don’t own the PS3/XBox 360 version, stop what you are doing and go pick up DIablo III: Reaper of Souls – Ultimate Evil Edition and get ready to bring the forces of Hell to their knees! 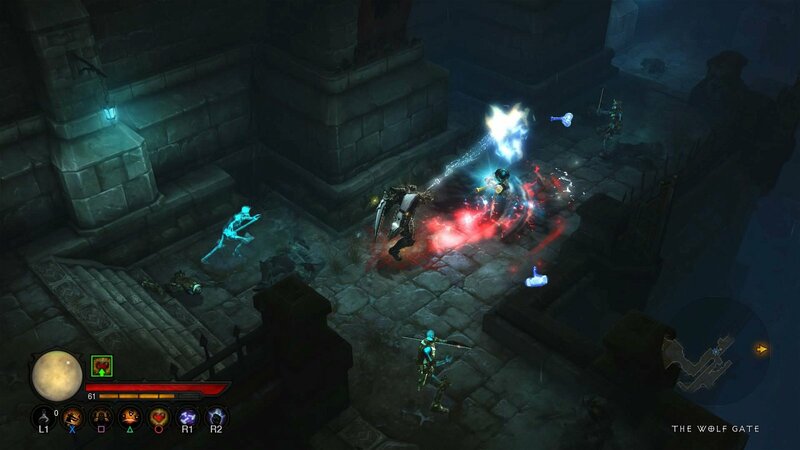 Diablo III is only getting better with each new version. Well worth jumping into if you love a loot driven experience.